Monaghan County Council has a very active environmental schools campaign. 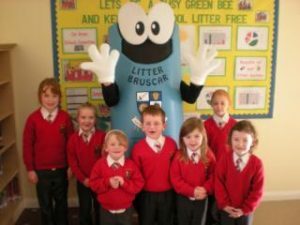 During the academic year, the Environmental Awareness Officer is available to visit schools to give presentations and advice on environmental issues. Monaghan County Council also organise events, seminars, workshops, competitions etc. for schools throughout the county. In addition, Monaghan County Council actively promotes and provides assistance to schools wishing to partake in The Green Schools Programme. The Green Schools Programme is an international programme promoting responsible behaviour among school children and the wider community towards the environment. It is also a learning resource raising awareness of environmental issues through activities that link curriculum subjects.